I recently did the second of two free webinars for the good folks at Training Magazine Network. The recording is now available…and still free, of course! 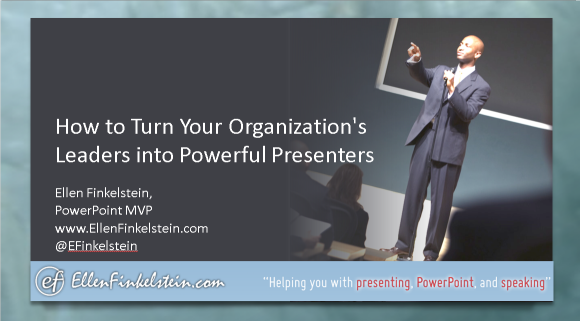 The topic is a timely one: How to Turn Your Organization’s Leaders Into Powerful Presenters. In surveys, employers consistently say that verbal communication is the most important skill they want in their employees. 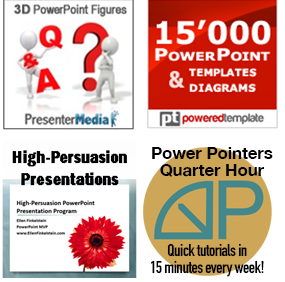 For internal meetings and sales, presentation skills are essential. But how do you train employees to improve these skills? In this video, you’ll get a syllabus for teaching presentation skills to the presenters in your company. You’ll learn why Death by PowerPoint is no longer acceptable and how you can lead the presenters in your organization to greater levels of accomplishment. What you learn may even increase sales in your company!